Science tells us that a plant’s “food factory” isn’t underground in the soil, it’s in the leaves and it relies on just three primary ingredients: water, sunlight and CO2. Via photosynthesis, plants use these three inputs to generate nearly all plant matter – roots, stems, branches, leaves, fruit and nuts. Although growers have historically chosen sites based on water availability (whether natural or through irrigation) and sunlight, there has been virtually no attention paid to the third primary factor of photosynthesis: CO2. Put simply, the biggest limiting factor to greater production and improved plant health in modern agriculture is CO2 availability. Growers spend millions of dollars on nitrogen/phosphorus/potassium nutrients, micro nutrients, soil chemistry, PCA, herbicides, etc., and have seen improvements in yield as a result of these mostly soil-focused efforts. Meanwhile, the gaseous exchange in the crop’s canopy has been totally overlooked. A 17-year study at the USDA’s Agricultural Research Service in Arizona looked at the effects on sour orange trees of enhancing CO2 by 300 parts per million (a roughly 75% increase to what’s in the ambient air). The results were dramatic: first harvest was accelerated by one full year and yield improvement averaged 72.5% over the 17-year period. And there was no incremental water usage. So why hasn’t it become common practice to “fertilize” orchards with CO2? Until now there wasn’t an effective means of capturing, storing and distributing the CO2 based on open-air weather factors – such as wind, sunlight and temperature – to achieve optimal economic results. AG Gas has invested nearly $4 million to refine the science and practice of enhancing CO2 in open field environments. Much of the work was done in collaboration with U.C. 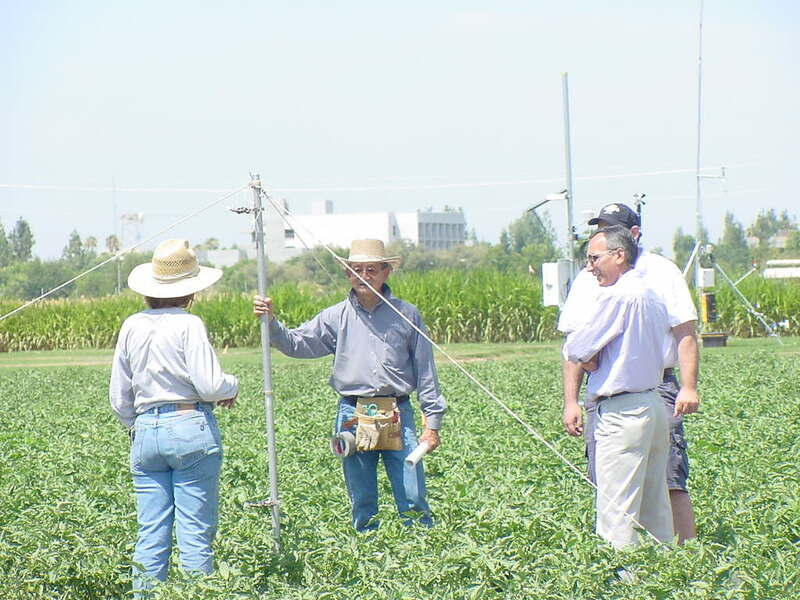 Davis, Cal State Fresno’s Center for Irrigation Technology, Cal Poly, USDA Parlier Research Station, and the U.C. Kearney Agricultural Center. The resulting AG Gas-proprietary and patents-pending systems, branded Carbogation®, deliver prescriptive amounts of CO2 where and when crops can best use it. Carbogation® systems have been field-tested on a variety of crops. 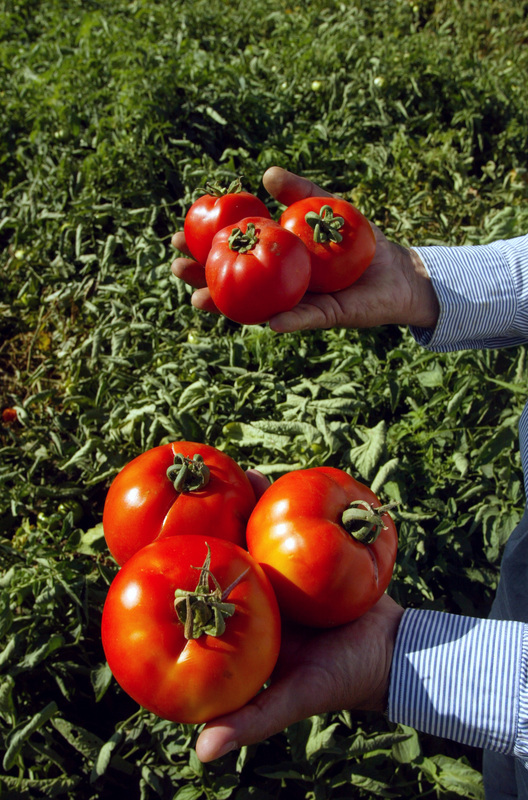 A fresh market tomato trial, for example, yielded a 120% increase in marketable tomatoes by weight, quantity, and quality after applying CO2 gas daily during the growing season and adjusting for weather conditions and daylight hours. Carbogation delivers other significant advantages to growers as well. Chief among these is that plants lose much less water through transpiration when exposed to higher levels of CO2. In addition, plants are less prone to production loss due to air pollution and are able to perform at higher temperatures before wilting. All these factors add up to healthier, better-producing crops. Once installed, Carbogation systems also provide a means of delivering other gaseous media. The Carbogation system can tailor the air composition in your crop’s canopy to manage a number of pressing agronomic concerns and opportunities. AG Gas is currently focused on deploying in California’s Central Valley the first commercial-scale Carbogation system. Utilizing CO2 from a source that would otherwise vent the gas into the atmosphere, the system is expected to generate significant crop yield increases and greatly improve water-use efficiency. AG Gas intends to continue to develop the market for Carbogation systems in the Central Valley, one of world’s most productive agricultural regions.